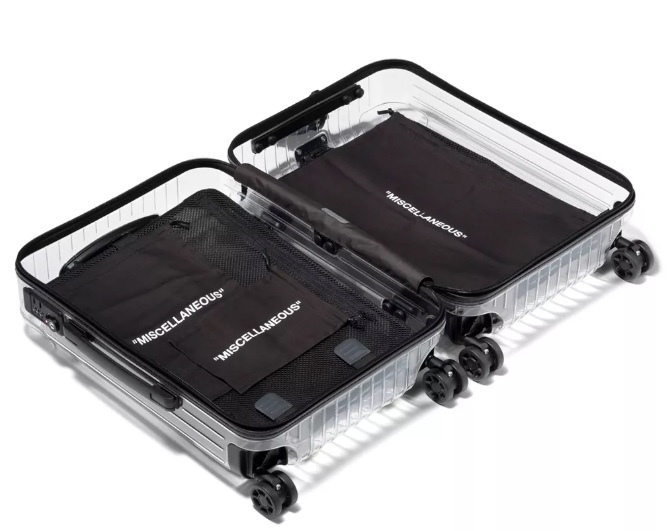 I wasn’t surprised when the luggage juggernaut announced their latest collaboration with Virgil Abloh and his label Off-WhiteTM. 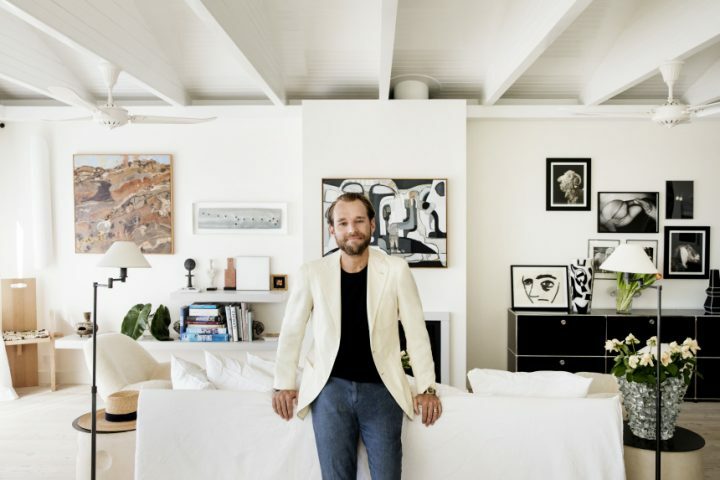 Since Alexandre Arnault’s appointment as chief executive of Rimowa in late 2016, the 120 year-old brand has ramped up its efforts to position itself in the minds of millennials. 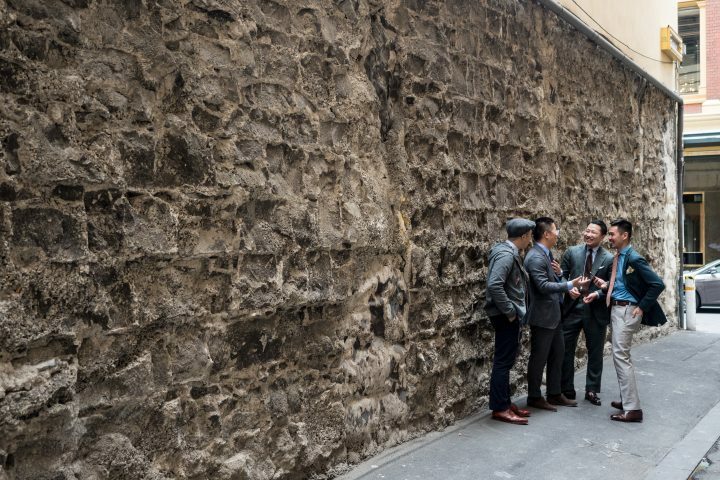 This strategy – to tap the social clout of streetwear brands – has proven to be a success, as the partnerships between heritage and streetwear brands have recently demonstrated. 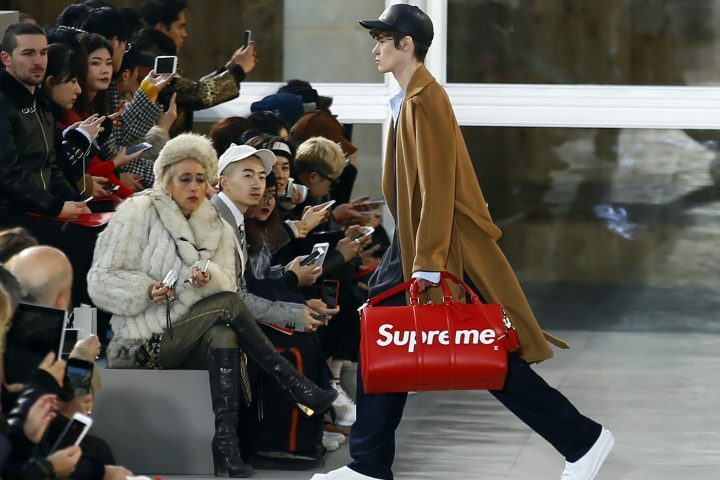 The most notable of these have been that of Louis Vuitton and Supreme, and Balenciaga and Vetements’ designer Demna Gvasalia. If you’ve also been following Alexandre Arnault’s Instagram stories, you’ll know that Rimowa users are big on personalising their luggage, populating the exterior with a collage of stickers. It’s evident that Abloh has taken inspiration from the behaviour of these luxury consumers, while also attempting to subvert the aura of luxury goods. 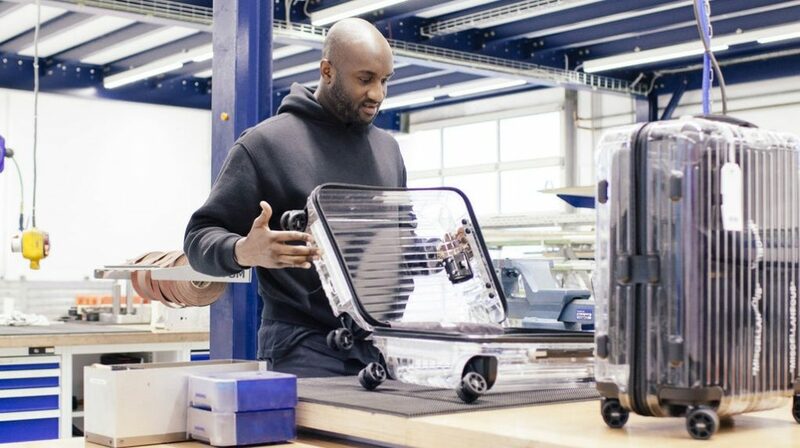 By focusing on the contents of luggage as opposed to the luggage itself, and by allowing users to customise their own bags, Abloh removes Rimowa’s brand signifiers from the equation. He’s detached the object from its heritage. Ultimately this collaboration sees a shift in luxury, where the brand’s presence is less important than that of the consumer’s. Off-White has produced a subversive design that prioritises the user’s identity first, and Rimowa’s second. But as just one more in a growing series of luxury and streetwear collaborations, this raises the question: will luxury houses eventually become diluted by streetwear, or will they be able to thrive once again on their own? 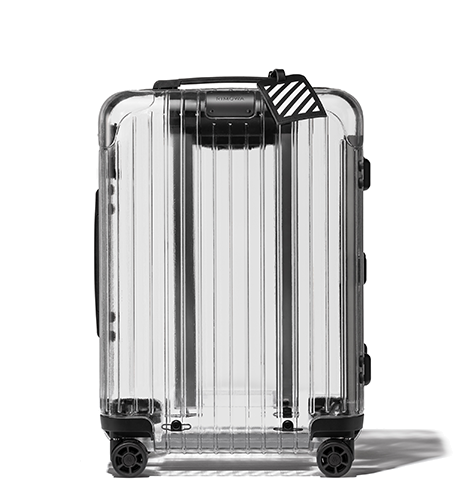 This remains to be seen, but in the meantime, I’ve been a fan of Rimowa’s products for a while, and I’m itching to get my hands on one. Maybe my first Rimowa purchase will come from this collab. And for those unsure about the transparency, at least you won’t have to worry about being asked to open your luggage at customs, if that’s anything to go by. Photography, writing and Instagramming are just a small part of Jeff’s work at The Hounds. With so much on his plate, you wouldn’t want to dawdle in front of him - especially when he’s striding down the street to Celine Dion’s ‘That’s The Way It Is’ with great hair and an even greater outfit.